So far we have only had a few days when it has not been raining or snowing and that’s when we dressed up in our winter clothes and went out for a walk to burn some of the calories we have indulged over the holidays. 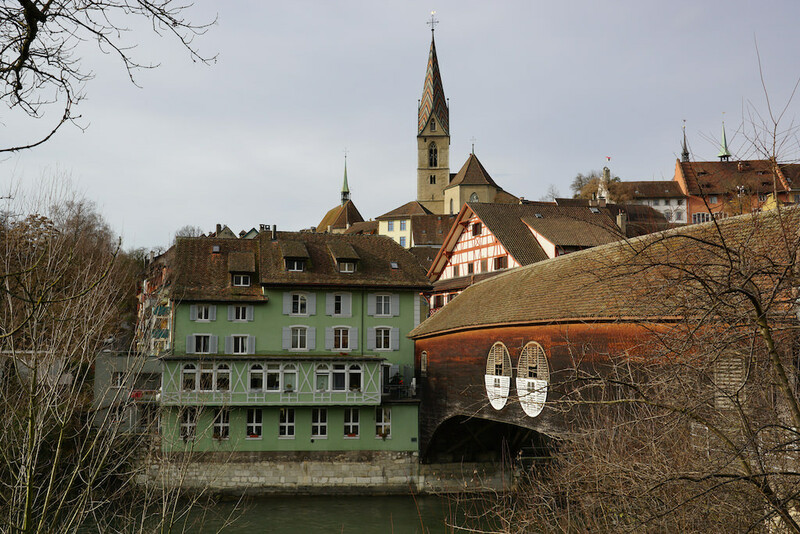 Here some impressions from Baden/Wettingen and along the Limmat river. Danke für die schönen Bilder. Obwohl wir hier leben kennen wir nicht alles musste ich feststellen!! !